Russian Village, AK. Water is Life Mural Project. The Water is Life project is an Alaska Native Tribal Health Consortium program to promote awareness and appreciation of healthy community water resources. I was contracted by the ANTHC to produce a mural for the Yup'ik community of Russian Mission with a focus on cultural traditions surrounding water. The ANTHC team met with the community for a visioning session, to receive feedback on the mural design. I was moved by a session of Yup'ik dancers, led by a village elder. I am impressed with the respect for elders and their place in the continuity of village history, language and culture. The mural design features a Yup'ik dancer representing the continuity and flow of village culture and a river landscape honoring the Yukon River which brings life and sustenance to this community. The piece is made up of four 4 x 6ft and one 6 x 8ft canvas, total dimensions: 8 x 18ft. and will be installed in the school cafeteria. I am working with the Alaska Native Tribal Health Consortium to create a mural in the remote Alaska village, Russian Mission. The mural will focus on the community resource of water. Our crew of three engineers, a film maker and myself, the artist, traveled to Russian Mission to meet with the community and to gather ideas and inspiration for the artwork. We will return, the week of March 28th. I will design and paint the mural and the rest of the crew will be involved in community water activities and projects. 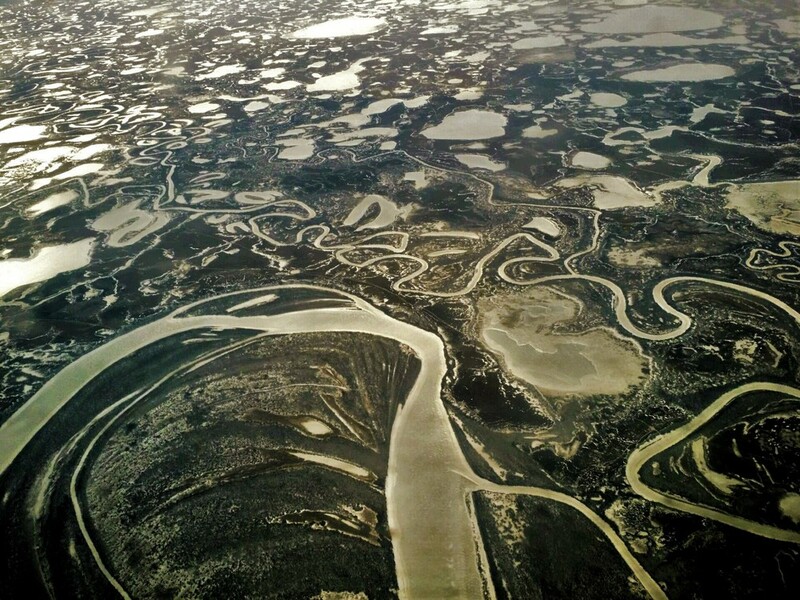 The flight to Russian Mission from Bethel was spectacular, with frozen rivers and lakes and snow free tundra. Sept. 2015 Mt. View Hispanic Cultural Center Mural- Los Picaflores. July/August 2015 Rasmuson Foundation Fellowship, Santa Fe Arts Institute.